Many reskilling programs are too focused on the short-term for ongoing tech transformations. When it comes to reskilling people to work in the digital age, most companies rely on standard, one-size-fits-all learning and development (L&D) programs. These include seminars and online training courses focused on cementing specific skillsets, which will become outdated soon, given the rate at which business environments are changing and the fact that new skillsets are becoming vital. The upshot is a strong need for organisations to foster a culture of continuous learning. This is learning that not only helps employees build future-proof careers and excel in the face of disruption, but also helps organisations become more agile to remain competitive and continue to thrive. To make it happen, companies need to reimagine reskilling. According to AI 360, the second edition of Genpact’s global AI study, 80 per cent of workers say they are willing to learn new skills to take advantage of artificial intelligence (AI) in their current job. Yet while more than half of senior executives state that they provide employees with reskilling opportunities, only 35 per cent of workers report such options are available at their companies—and only 21 per cent say they have participated in said training. To narrow the talent gap and cultivate nimble, adaptive workforces, a paradigm shift has to occur, making reskilling a business imperative. Companies can lean more on existing experts and their ecosystem to harness the collective intelligence of individuals and teams. Unbeknownst to many organisations, they may be sitting on troves of people who already have the skills and knowledge that others want, and have been following developments in new fields. 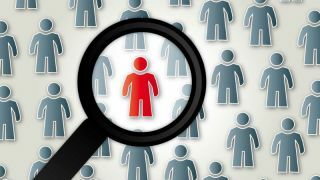 Some of these individuals are even “invisible,” as in they are valuable, go-to resources for other team members, but they fly under the radar and might not even be hierarchically high in the company structure. These experts can become knowledge leaders able to curate and contextualise new skills, making them immediately applicable to what learners are doing on a daily basis for easier education. That is, if the right infrastructure (processes and technology) is put in place to help them do so. Broad-based reskilling can’t be achieved by human resources alone. It needs to become a company strategy with a focus on developing more T-shaped people in the organisation as opposed to I-shaped. While I-shaped people have deep knowledge and experience in only one area, T-shaped people have both depth in one area and some understanding of other skills. The latter understand many things well enough so they can effectively interoperate with others in—what retired U.S. Army General Stanley McChrystal calls— “teams of teams” around specific business goals. This focus on the collective knowledge of employees echoes work done by Massachusetts Institute of Technology’s Center for Collective Intelligence. Building on lessons from that work, Genpact’s Genome learning framework uses, among others, human (organisational) network analysis to identify knowledge leaders across a test bed of thousands of Genpact employees, outside of our more widely known internal subject matter experts. As a result, we are reskilling groups of people who work together—and increasing their collective, rather than individual, intelligence. Successful reskilling and harnessing of an organisation’s collective intelligence rest on four, sequential pillars: Because, Immerse, Transform, and Solidify—otherwise known as “BITS.” B stands for Because (of a knowledge gap); I for Immerse (in self learning); T for Transform (through the connection with knowledge leaders); and S for Solidify (through application in real life). At this stage, enterprises should conduct a skill inventory to identify which skills already exist amongst teams. This exercise helps to define the relevant roles in the company based on proficiency level and identify invisible knowledge leaders who can curate and contextualise learning. A skill inventory establishes a baseline for the skills shared among individuals and groups so that knowledge leaders can prioritise learning interventions and workforce planning. Breaking down the boundaries between learning and knowledge management, identified knowledge leaders share curated content around new skills to set learners off on their own self-learning journeys. Learners then immerse themselves in the information, while also participating in larger group debates about the new knowledge. In the Transform step, knowledge leaders actively engage with learners who are completing their self-learning efforts. Gathering together in learning groups, the leaders provide contextualisation to the new skills and encourage a flow of learning through virtual, video-conferencing webinars and multiple collaboration tools. People learn best by doing. Learners can hone their skills in actual projects—with light supervision by the knowledge leaders. Successful reskilling happens when learners can apply their new knowledge to solve business-critical problems, demonstrating a real level of proficiency. To see results and what needs to change sooner rather than later, consider an agile approach. Just as agile development helps with progressing digital projects, it can also help with reskilling. Series of educational sprints enable fast feedback, delivering early value from what employees have learned to the enterprise. By leveraging the collective intelligence of knowledge leaders and teams, companies can better source, crystallise, propagate, and absorb knowledge. They can foster workforces ready to adapt to the changing tides of technology and business—far greater than what is possible with static, individual-centred, traditional L&D. Enterprises can then cultivate and sustain broad skills necessary for employees to succeed in the digital age and narrow the talent gap between learning and knowledge management.